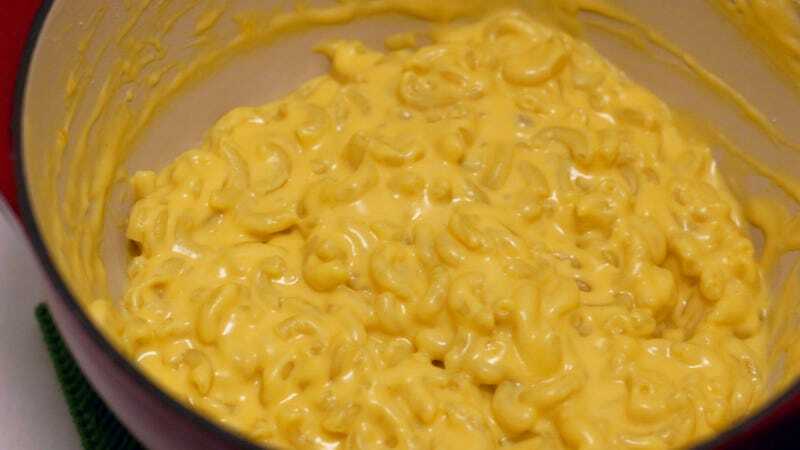 Pour the milk in a sauce pan and season it with salt. Add the butter, bring it to a boil, and add the pasta. 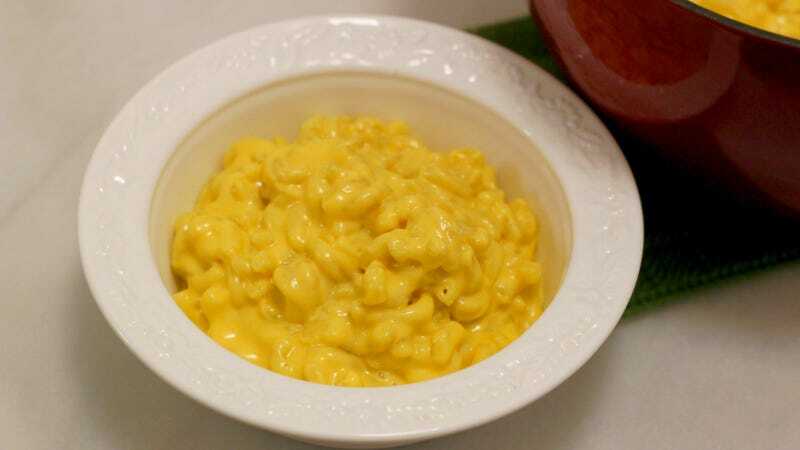 Reduce to a simmer, and cook until the macaroni is tender and the milk has thickened. (If the milk evaporates too quickly, just add a little more.) 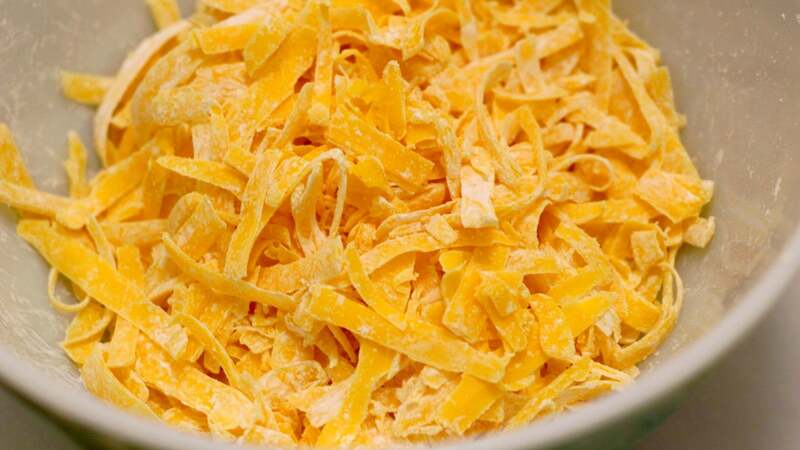 While the pasta is cooking, toss the cheese with cornstarch so that each strand is coated. Stir the mustard and hot sauce (to taste) into the pasta, season with salt and pepper if needed, then stir in the cheese handful by handful, letting each one melt completely before adding the next. Consume the gooey, cheesy mass of carbs with gusto while you plan your next batch. 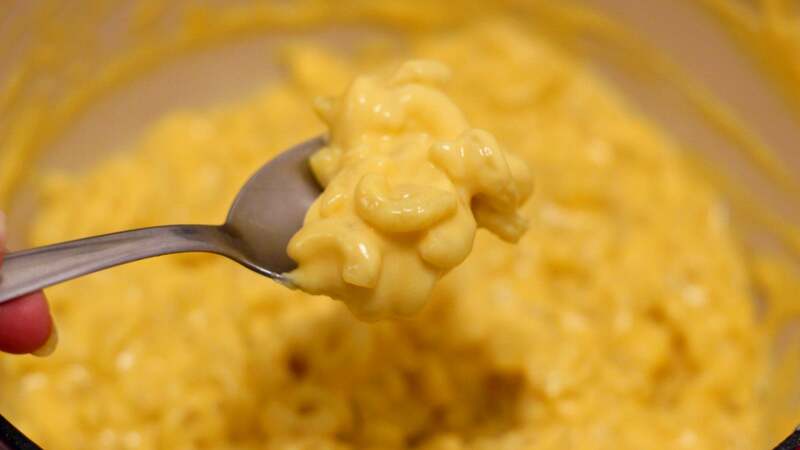 Not only is this recipe super quick and easy, it adapts very well to variations, meaning you can churn our the cheesy experiments almost as fast as you can dream them up.